A magical springboard for your child's imagination! I recently came across some little wooden peg doll figures on the internet, saw that people were painting them and wanted to have a go at this myself. I couldn’t afford the rainbow set made by well-known German Waldorf toy manufacturer Grimms, so I started off by making my own rainbow set….. I decided to call them the Little Peeps, because that’s what I sometimes call the children, and they remind me of miniature children. Once I discovered different sizes were available I began obsessively collecting every type I could lay my hands on, because my happy rainbow families had to have every member in every colour…. Then they had to have houses to live in, so after looking at the beautiful but expensive Grimms rainbow blocks, I got some strips of pine the same width from a DIY shop, asked my husband to cut them to different lengths, then spent days and days sanding and painting them in many more rainbow colours than Grimms. I bought square wood blocks and log slices from eBay and sanded and painted those too, to add more variety to the set. I also made up a beeswax polish which I lovingly massaged into each piece, to help them stay clean and waterproof. And I did succumb to buying some expensive Grimms rainbows to complete the set, as I couldn’t figure out how to make them myself! …and I added a set of little wooden rainbow spools painted to match, to make more ‘loose parts’ for construction….oh, and I had immense fun making a big log slice into a colour wheel….or magic podium…can you spot what the children did with it? Next I launched it on my chief testers, the kids, who eagerly jumped for joy and ascended into a kind of nirvana of contentment as they happily began arranging all the little families and building houses, restauraunts, schools and palaces for them. We acted out stories and raided my other boxes for buttons and other treasures. I stopped worrying about imagination being stunted. They loved all of it. The 7 year old was even encouraged to build houses for his Starmonsters, who became bodyguards for the Little Peeps! I have a feeling this is just the beginning of the story. For a start, there are still more characters in my head begging to be released…. So, if you’re wondering what all this has to do with lifting a child out of poverty……read on…. I am now selling my Little Peeps in my new Etsy shop! I’m adding more all the time as I make them! I have decided that now it has got off the ground, I want to use the profits to go towards sponsoring a little girl from Burkina Faso. There are millions of children living in abject poverty in broken-down slums or mud huts in the poorest areas of Africa, with no clean water or sanitation. Danger, disease and starvation are common in these areas. An organisation called Compassion sets up a child development centre nearby, in partnership with the local church, and registers as many children as possible from the families in the most desperate need. These children are then taken into the centre several days a week where they are known, loved and protected, given nutritious food, education, life skills training, medical care and taught about God’s love. Someone like me can go onto the Compassion website and choose to sponsor one of the registered children,whose photos and profiles are shown there. We will exchange letters and build a trusting supportive relationship, and I pay the sponsorship fee of £25 a month. That child’s life is transformed by knowing that someone cares about her and loves her, and seeing that love in action. I know about all this because my husband and I already sponsored four Compassion-assisted children, from Indonesia, Thailand, Kenya and Brazil. Eventually I reached the limit of my disposable income. However, the extra income from selling my creations first made it possible to help another child, and now supports all five of them! Seems like a win-win to me. 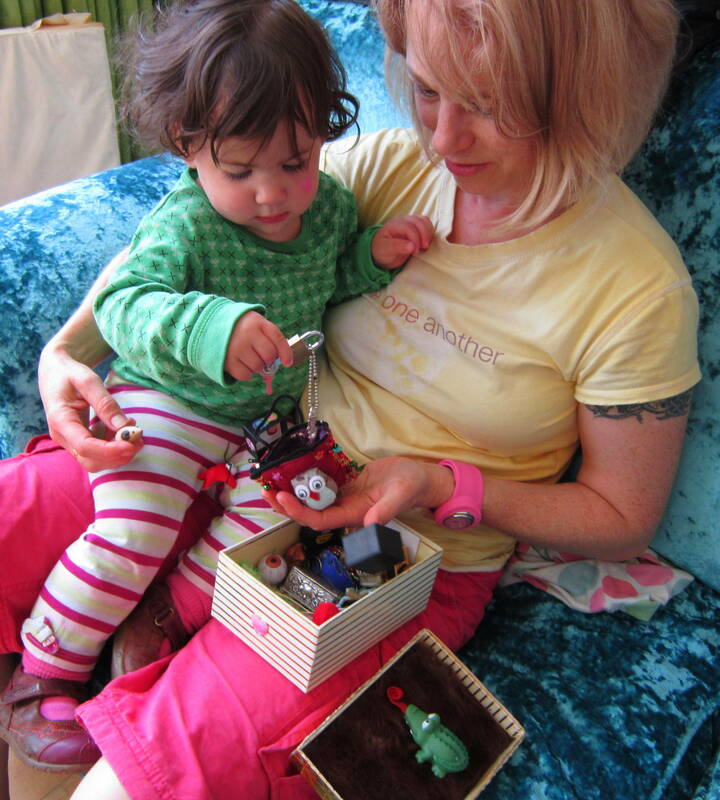 A child here gets a beautiful new toy to play with….and another child there gets to start a new life. If you want to be part of this adventure, pop over to my shops and see if there’s anything there your kids would like. The whole family gets involved in discovery! Want to see? Click to open a box of treasure! My Favourite Websites for Kids' Stuff! Imagination Tree A wealth of fabulous ideas for play activities with under-fives!